Our thoughts, feelings, beliefs, expectations, actions and words send out energies and vibrations into the Universe. These outgoing energies and vibrations then attract back to us things of similar energy and vibration. This means that by choosing our thoughts carefully, and by being very aware and careful about which thoughts and feelings we choose to focus on, we can affect what is being attracted into our lives. We can use the Law of Attraction to attract abundance and manifest our dreams. The Sekhem Law of Attraction Accelerator will give you an advanced technique to accelerate your ability to work with the Law of Attraction. This will enable you to attract the things you want with greater speed, power and ease. You will be taught how to work with a powerful form of Universal Energy called Sekhem. Sekhem will accelerate your ability to work with the Law of Attraction by helping to clear subconscious blocks, mental blocks and stored/trapped emotions from the past that may be restricting your potential to use the Law of Attraction to bring you what you want. It will also help to establish specific positive vibrations within you that the Law of Attraction will respond to. Once you have learnt how to work with Sekhem, you will have a powerful self-healing tool that you can use for the rest of your life. Sekhem raises your energetic vibration and consciousness and heals on the physical, emotional, mental and spiritual levels. The more you raise your vibration and consciousness, the faster and more powerfully the Law of Attraction will respond to you. The Sekhem Law of Attraction Accelerator is free and available worldwide. This system and technique are easy to use and they will support, complement and enhance all other Law of Attraction tools and techniques. Quantum Physics has proven that at the finest and most basic level, everything in existence is composed of energy. Universal Energy is the fundamental building block of creation. Universal Energy itself embodies the essence of creation because everything in the Universe is created out of Universal Energy. Even our thoughts and feelings are made of Universal Energy. Universal Energy is something that flows through all living things. It sustains us and it can be used to heal us on the physical, emotional, mental and spiritual levels. Sekhem is a Natural Healing system that helps to open and clear the energy channels in the body. 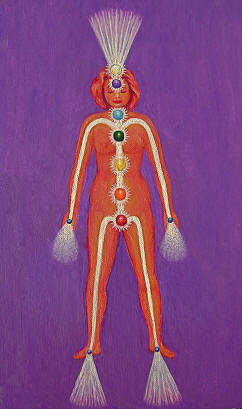 It also helps to increase the flow, and raise the vibration, of Universal Energy in the body. Sekhem is similar to Reiki but operates at a higher vibration and heals on a deeper level. It carries within itself the energy of unconditional love and is very connected with the emotional heart centre. The Sekhem Law of Attraction Accelerator system is based on Sekhem and involves "attunement" (connection) to the Sekhem Energy. The Sekhem Energy is a very advanced form of Universal Energy. Sekhem is a powerful and advanced tool for releasing and healing blocks on the emotional and mental levels. It operates automatically under the guidance of your own higher consciousness - your Higher Self - and always works for your Highest Good. Because it works under the direction of your Higher Self, you don’t need to know exactly what blocks you have or how to fix them. Your Higher Self knows about any blocks you have and it knows how to release and heal them for you. Whenever you release blocked energy, you create more space within yourself to contain love and light. Because the Sekhem Energy embodies love and light, when more space becomes available within you, it is able to channel in love and light to fill up that space. This boosts your capacity for feeling joy and gratitude. The more love, light, joy and gratitude you have within you, the more positively magnetic your vibration becomes... and the Universe is always responding to your vibrational state. Therefore, the more love, light, joy and gratitude you have in you, the more powerfully and positively the Law of Attraction will respond to you. Gratitude, love and joy are the most powerful and important emotions when working with the Law of Attraction. 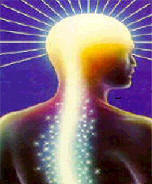 Attunement to Sekhem raises your personal energy vibration and your consciousness. It also develops your connection with the Source - the intelligent Universal creative force itself - on a deep level. The higher your vibration and consciousness become, the faster and more powerfully the Law of Attraction will respond to you. What is a Sekhem Attunement? A Sekhem "attunement" is a special procedure that is carried out on a student learning how to work with Sekhem, to enable them to channel Sekhem energy. It is a kind of "mystical energy operation" that helps to open and clear the student's internal energy channels. It also "tunes the student in" to the Sekhem energy frequency so they can then act as a receiver of the energy, much like a radio acts as a receiver of the signal transmitted by a radio station, once it has been tuned in to the radio station's frequency. Once someone has been "attuned" to the Sekhem Energy, they have access to an unlimited supply of the energy for the rest of their life. 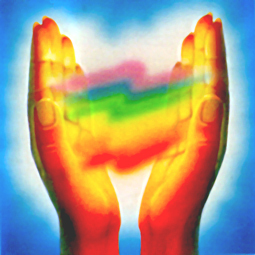 They can channel the energy through their body and out of their hands at any time and they can use the energy to work on themselves for self-healing at any time. 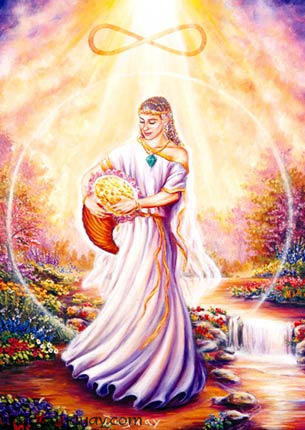 An attunement is normally carried out by a Sekhem teacher however under certain circumstances, a special kind of Sekhem attunement can be automatically carried out by the Sekhem energy itself, without human assistance. An attunement is both an initiation and a healing in itself. It is considered something special and sacred. People often have mystical and spiritual experiences while receiving attunements. 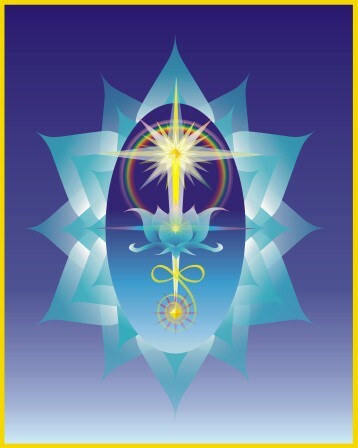 Although with normal Sekhem attunements, the Sekhem teacher goes through a specific procedure to bring about the attunement process, it is the energy itself that does the real work. Exactly what the energy does and how it does it is not fully understood but it is certainly effective and what it achieves is miraculous. It is possible for people to receive Sekhem attunements from anywhere in the world, using a technique known as "distance healing". As part of the Sekhem Law of Attraction Accelerator system, you will receive your Sekhem attunements by distance healing. Training in The Sekhem Law of Attraction Accelerator system is available to people anywhere in the world. The basic version of this system is free. The basic version includes attunement to the Sekhem energy. Once you have been attuned to the Sekhem energy, you will be able to work with it for the rest of your life. An upgrade to a more advanced version of the system (known as the "full version") is also available. The only difference between the basic version and the full version is that the full version of the system gives you a more advanced, more powerful form of Sekhem energy to use. 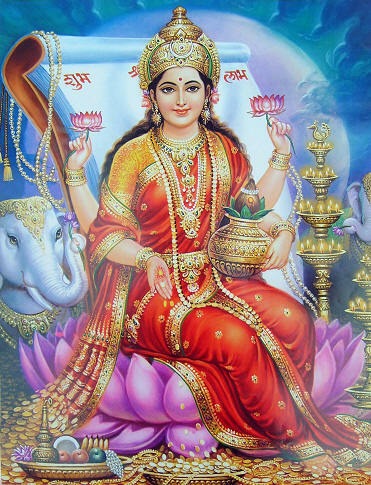 This more advanced energy can work on you at a deeper level and clear blockages with greater ease. However, the form of Sekhem you get with the basic version is still quite effective. Upgrade to the full version costs $20 Australian. For people who would like to take things further, there are also additional higher levels of the system available to continue on with. The manual contains more in-depth information about clearing subconscious blocks and also about working with the Law of Attraction in general. This manual may be freely copied and passed on to others, provided that it is not modified. Even if you do not want to receive attunement to Sekhem or use this system, you can still benefit from the information related to working with the Law of Attraction contained in the manual. To view and download the manual, please click here. If you would like to try the basic (free) version of the system, all you have to do is download the manual, read the manual carefully and follow the instructions for receiving the attunements. The way to request the free attunements is explained in the manual. The attunements will come to you automatically when you request them. If you would like to receive the full version of the system, begin by taking the basic version. After working with that for an appropriate period of time (as explained in the manual), please send me an email to request the full version. The Sekhem Law of Attraction Accelerator is a version of another system called the Reiki/Sekhem Personal Growth Accelerator. It works in exactly the same way as the Personal Growth Accelerator system but has a slightly different manual that is more focused on the Law of Attraction. The Sekhem Law of Attraction Accelerator has been created by Peter Chapman in Australia. This system is available to people anywhere in the world. For further information, please email Peter. If you are contacting me by email, please ensure you can also accept emails from xshizenx@yahoo.com.au, as this is my main email account which I usually reply from. Please Note: I receive a lot of enquiries and requests for my systems, so if I am unable to reply to you immediately, please be patient... I do apologize in advance. You do not need to email me in order to begin working with the free version of this system. All you have to do is download the manual and you will be able to access the energy. 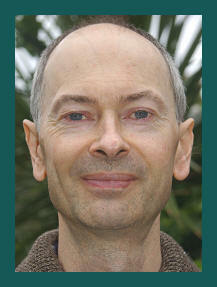 I am a Reiki and Sekhem teacher and I have been working with Reiki and Sekhem since 1992. My passion is developing and teaching new healing systems. I also love working with the Law of Attraction, teaching others about the miracles of the Law of Attraction, and combining the Law of Attraction with Sekhem. I live in Melbourne, Australia. I have a University Degree in Computer Science and used to work as a computer programmer in the area of Artificial Intelligence. My new healing systems have gone to countries and places around the world including: Australia, the U.S., the U.K., Canada, France, Germany, India, Bulgaria, Turkey, South Africa, Indonesia, Romania, Venezuela, Finland, Brazil, Portugal, Malaysia, Thailand, Poland, Latvia, Iran, Italy, the Netherlands, New Zealand, Denmark, Norway, Jordan, Dubai, Peru, Pakistan, Spain, Czech Republic, Mexico, Sweden, Vietnam, Ecuador, Qatar, Barbados, Greece, Bosnia-Herzegovina, Hawaii, Taiwan, Albania, China, Morocco, Kenya, Russia and Egypt. 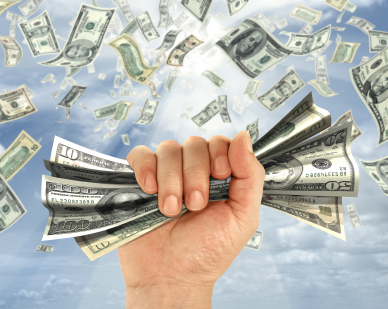 for attracting money, please click here. You get the essence of what you think about - whether you want it or not - because the Law of Attraction is unerringly consistent - therefore, you are never only telling the story of “how it is now.” You are also telling the future experience that you are creating right now. 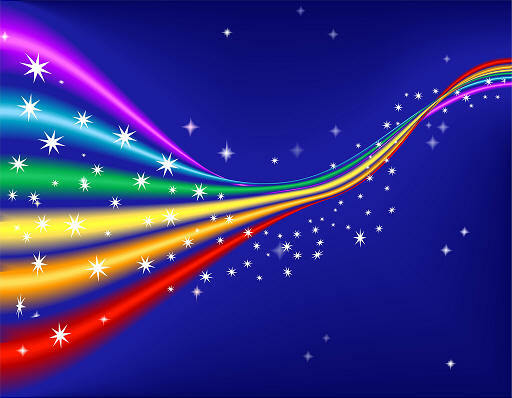 When you offer a vibration, the Universal forces are working in concert with each other in order to satisfy you. You really are the center of the Universe. You have the power to achieve anything you desire. A belief is nothing more than a chronic pattern of thought, and you have the ability - if you try even a little bit - to begin a new pattern, to tell a new story, to achieve a different vibration, to change your point of attraction. The Law of Attraction is responding to your vibration, and you can easily change your vibrational point of attraction by visualizing the lifestyle you desire and holding your attention upon those images until you begin to feel relief, which will indicate that a true vibrational shift has occurred. When you focus upon lack in an attitude of complaining, you establish a vibrational point of attraction that then gives you access only to more thoughts of complaint. The simple effort of looking for positive aspects will set a new vibrational tone and the Law of Attraction will begin the immediate attraction of thoughts, people, circumstances, and things that are pleasing to you. Source of the above quotes by Abraham: Money and the Law of Attraction, by Esther and Jerry Hicks, published by Abraham - Hicks Publications. Visit the Abraham website at: Abraham - The Law of attraction. You attract to you the predominant thoughts that you're thinking in your awareness, whether those thoughts are conscious or unconscious. The law of attraction doesn't care whether you perceive something to be good or bad, or whether you don't want it or whether you do want it. It's responding to your thoughts. Everything that's coming into your life, you are attracting into your life. And it's attracted to you by virtue of the images you're holding in your mind. Source of the above quotes: The Secret, by Rhonda Byrne, published by Beyond Words Publishing, Atria Books. Visit The Secret website at: The Secret - The Law of attraction. your visions, your beliefs and your expectations. This is real magic. Expect miracles! To Like this page (with Facebook), please click the Like button below. You can also share this page on Facebook with the Share button. 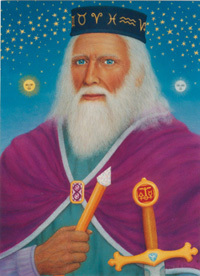 Picture of Merlin by Peter F. Christiansen. please click here for more information and additional systems.